This novel was a surprise for me. I had a hard time making my mind up about what I thought about Sawkill Girls. I thought it was a horror story and it was actually way more fantasy than I thought. It was really interesting and surprising. 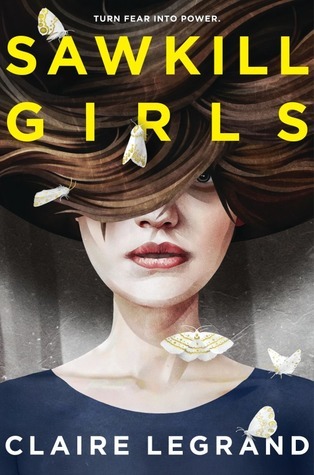 I give Sawkill Girls by Claire Legrand four out of five hearts because I thought the novel was a very surprising read and the writing was (again) well done. The story was very interesting because it deals with three such different characters, but also the island and its lore. Claire really knows how to keep up the mystery surrounding what is going on with the island even though one main character is very involved in it. I thought that the sexual orientation of each the main characters wasn’t too prominent in the story as I worried for since Goodreads does give it the LGBT tag. And I am kind of done with that books have to prominently feature these things. Yes I know they are a thing and yes I don’t care if someone’s orientation is different from mine, but I really don’t care about it when I read it. I don’t need romance in my books, so why would I want to read a fantasy novel (or whatever else) and the characters are heavily a certain orientation? I don’t care, people! Sorry. I get a little bit upset these days about it because I really don’t care to read about romance in my novels. The topics touched on in Sawkill Girls are pretty heavy. Loss, grief, trauma and more. I thought they were very well done and they weren’t too distracting from the main story. The story is pretty feministic and I don’t know what I think about it, but I let it go and it didn’t bother me too much. Overall I think Sawkill Girls is a great novel and it keeps you on the edge of your seat. It was very much fun, but also strange and mysterious. This entry was posted in Book Review and tagged Book Review, Claire Legrand, Drama, Fantasy, Horror, LGBT, Mystery. Bookmark the permalink.